Are you looking for new and refreshing ways to use seasonal fresh fruits in your desserts? I love using seasonal fruits in baking. 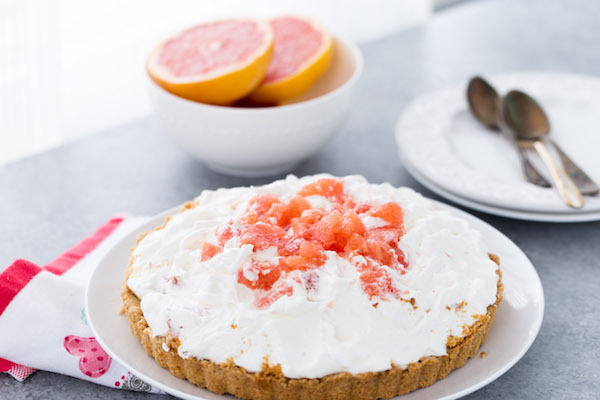 From fresh strawberry cupcakes to mango flan to this Grapefruit Greek Yogurt Mousse Tart. Fresh fruit always adds a great seasonal flavor to family favorites. 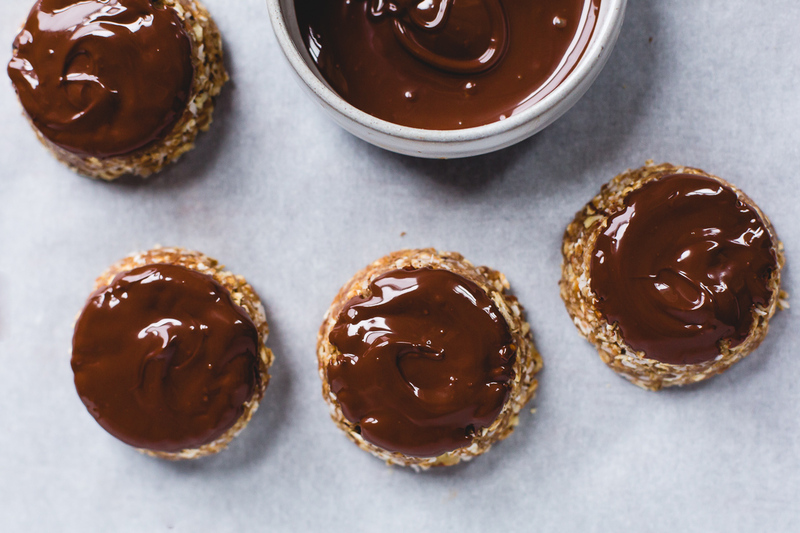 Lighter and healthier desserts are also very welcome at this time of the year when we’re all cutting back. It’s why this grapefruit tart is perfect! With a lighter greek yogurt mousse and a lot of fresh fruit in the mousse and topping, you’ll be happy about this indulgent tart. Grapefruit is currently in season and tastes great in baked desserts. This yogurt mousse tart uses fresh grapefruit and juice to add a tangy-sweet flavor to the tart. Start with a coconut almond meal crust that is gluten-free (and dairy-free). This tart is filled with a Greek yogurt-based whipped mousse that is light, tangy and slightly sweetened with fresh grapefruit chunks. Sounds amazing, right? Let’s walk through how to make this tart. All good tarts start with a great crust. To make the crust, pulse the coconut flakes, almond meal, and salt in the bowl of your KitchenAid® Pro Line® Series Food Processor. This 16-cup Food Processor is great to slice and dice vegetables everyday with the exclusive ExactSlice™ System with optimized speeds, but it’s even better to make crust mess-free. It’s my go-to for all pie and tart crusts! Drizzle in the melted coconut oil and pulse 2-3 times so the crust comes together. 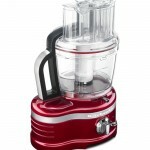 Be sure to adjust the speed of the Food Processor to ensure that you don’t over-process the crust. Transfer the crumbs into a prepared tart pan. Press the tart into the bottom and sides of the pan. Use a flat-bottomed glass to press the crumb. 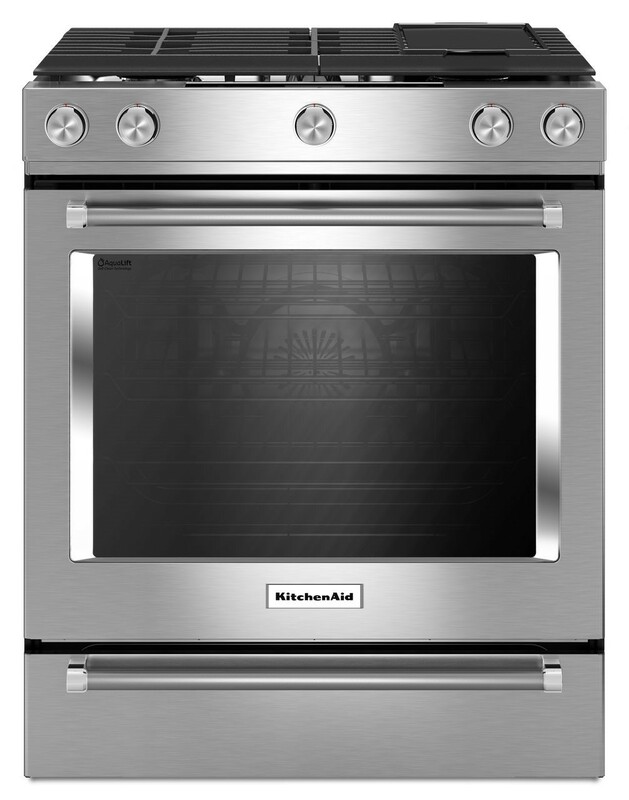 Preheat your KitchenAid® 5-Element Electric Convection Slide-In Range to 350°. 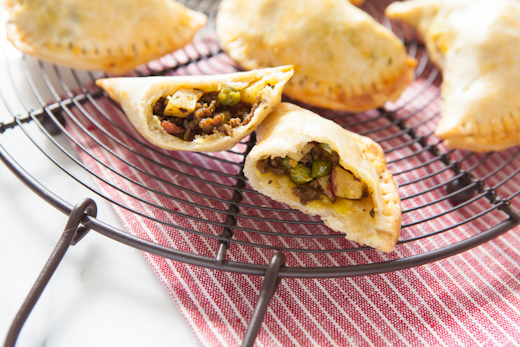 With the Even-Heat™ True Convection feature, you can evenly bake this tart crust in less than 10 minutes. I love that the EasyConvect™ Conversion System takes the guesswork out of convection cooking by ensuring I can get exceptional results with my recipes, helping me easily convert recipe baking temperatures. For this recipe, bake the crust for 8-10 minutes until golden brown. 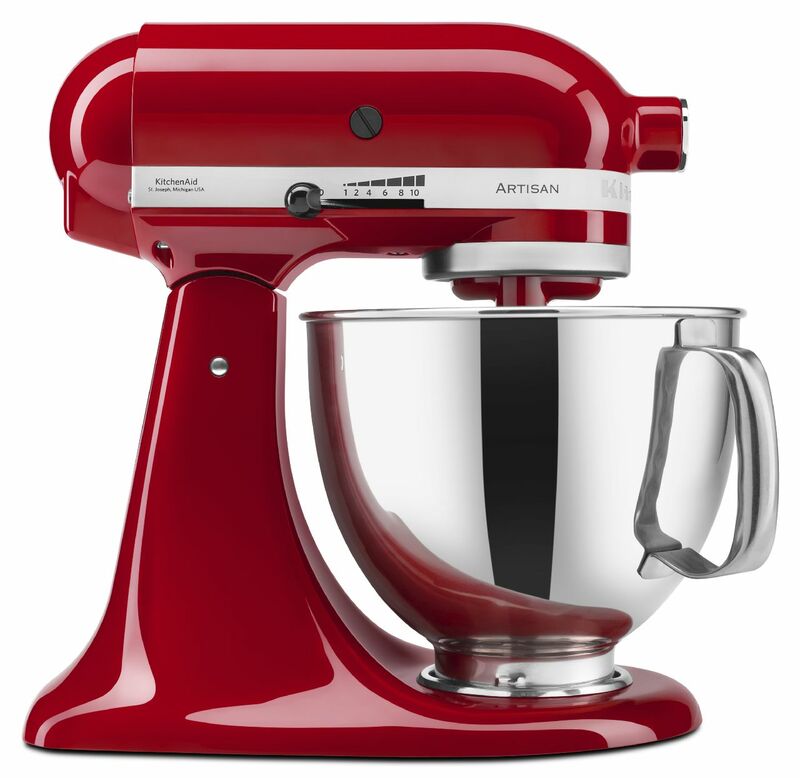 To make the filling, use your KitchenAid® Stand Mixer to whip the heavy cream until stiff peaks form. Chop up your fresh grapefruit. Fold the fresh grapefruit into the mousse along with the Greek yogurt, grapefruit zest, and grapefruit juice. Transfer the mousse into the cooled crust and chill for at least two hours or overnight before serving. When ready to serve, top the tart with fresh grapefruit chunks again. It adds a fresh, sweet, and tart flavor to this dessert. The fluffy mousse is lighter with a good dose of Greek yogurt and brings a tangy flavor to this tart. If you are a fan of sweeter citrus, you could use blood oranges for this tart. What fresh winter fruit would you use to make this Greek yogurt tart? Share your take on this Grapefruit Greek Yogurt Mousse Tart on Instagram using #MadeWithKitchenAid for a chance to be featured. Preheat your KitchenAid® 5-Element Electric Convection Slide-In Range to 350° F. Lightly grease a mini tart pan with baking spray. In the bowl of your KitchenAid® Pro Line® Series Food Processor, combine the coconut flakes, almond meal, and salt. Pulse to combine. Slowly drizzle the coconut oil into the Food Processor and pulse until well mixed. Do not over mix. Press the crust into the bottom and sides of a 9″ tart pan. Use the flat-bottom of a cup to press the crust in. Bake the crust in the Slide-In Range for 8-10 minutes until golden and firm. Remove from the Slide-In Range and let cool completely. 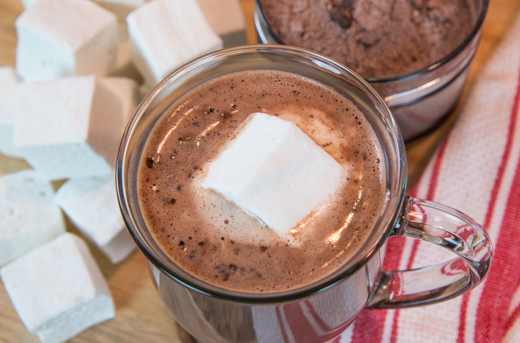 Chill the bowl and whisk of a KitchenAid® Stand Mixer for about 15 minutes. Combine the heavy cream, powdered sugar, and almond extract in the chilled bowl of the Stand Mixer. Whip the heavy cream until soft peaks form. Gently fold in the Greek yogurt, grapefruit juice, zest, and chopped grapefruit. Pour the mousse into the cooled tart shell. Chill the tart for at least two hours or overnight. When ready to serve, top with fresh grapefruit. Serve immediately.